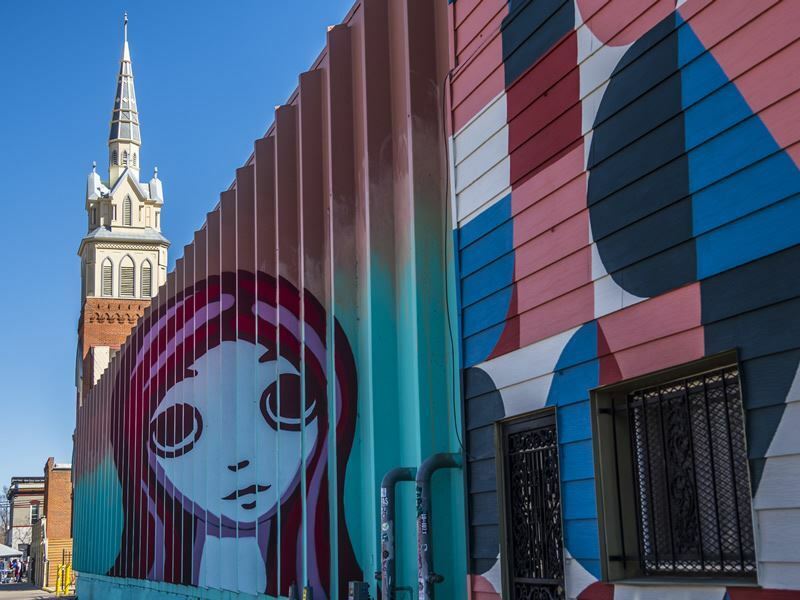 Denver’s art scene has exploded in recent years, with new galleries popping up all the time as well as world-class art museums and a number of smaller art institutions, fantastic street art, unique arts districts, art in public spaces and more. 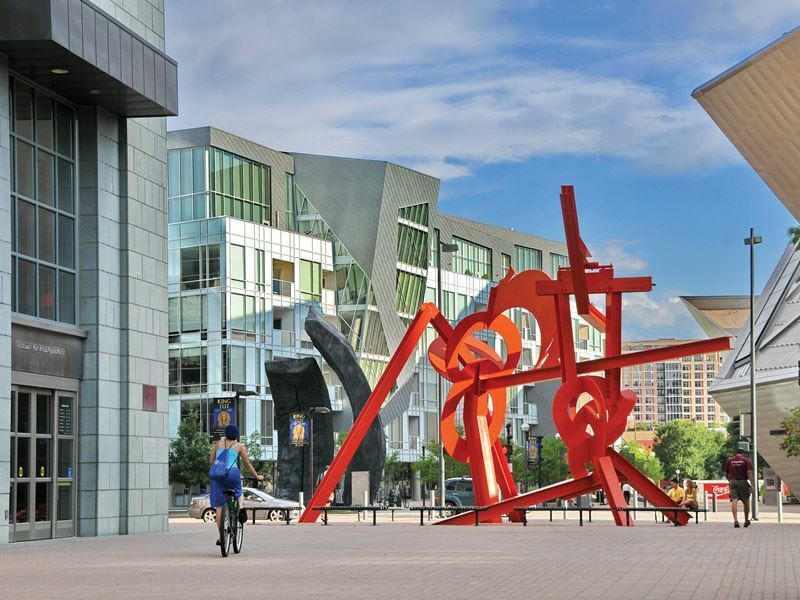 Exploring the Mile High City’s thriving art scene is going to take a bit of time with so much to experience – you may want to begin with its arts districts, serving as the pulse of the creative community. Just minutes from downtown Denver, the Art District on Santa Fe is one of Colorado’s designated Creative Districts. 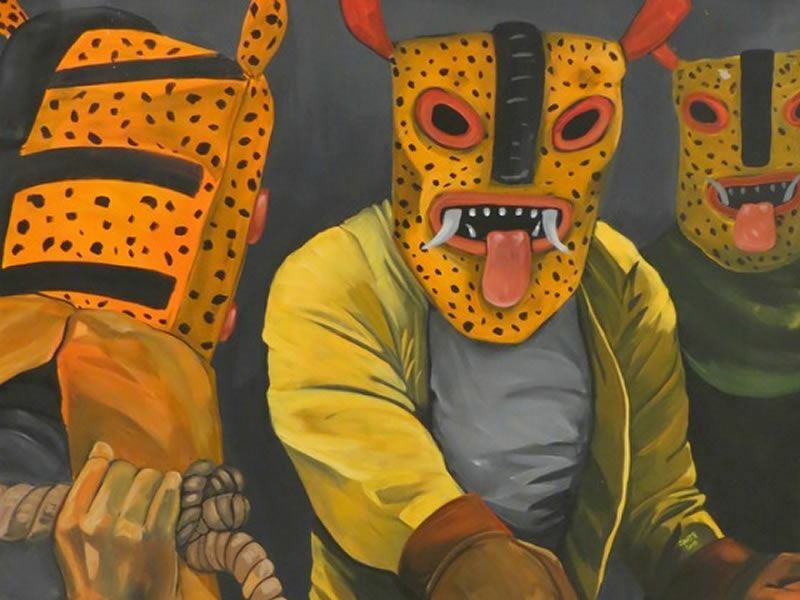 This multi-cultural neighbourhood that offers some of the most authentic Mexican culture in Denver boasts more than 40 art galleries, the highest concentration of art galleries in the city. Discover everything from contemporary and traditional art to sculptures, photography, textiles, graphic art and mixed media. In between the colourful murals and exhibitions at Museo de las Americas, you’ll find a host of interesting shops, eateries and food trucks serving authentic Latino fare, as well as a number of outstanding craft breweries. The district also hosts the popular First Friday Art Walk and Second Saturdays on Santa Fe. 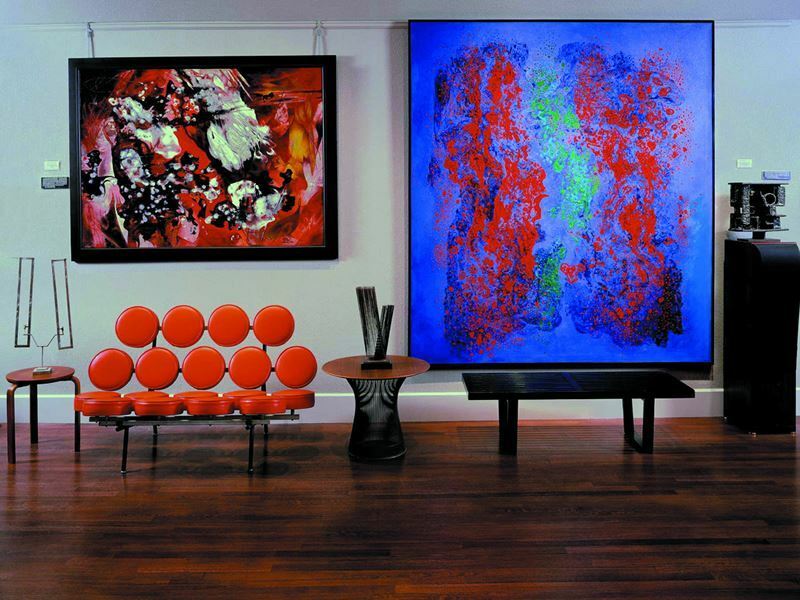 This is when the galleries offer an open house-ambiance, promoting traditional, contemporary and emerging art. As you browse the galleries, you’re likely to encounter a number of street performers, live bands and string quartets, as well as some eclectic poets. The River North Art District, also known as RiNo, is just north of downtown. A former industrial hub, at the turn of the previous century, it housed a number of pattern shops and foundries, helping to drive the city’s economic success. When industry moved out, it was left with multiple vacant warehouses that were ideal affordable spots for artists and other creative types. Today, it’s a trendy spot for a variety of artists, painters, photographers, sculptors, illustrators, designers and furniture makers as a hub of innovation waiting to be discovered. It also hosts the Friday Night Bazaar, a weekly collection of food and drinks, art, music and games. 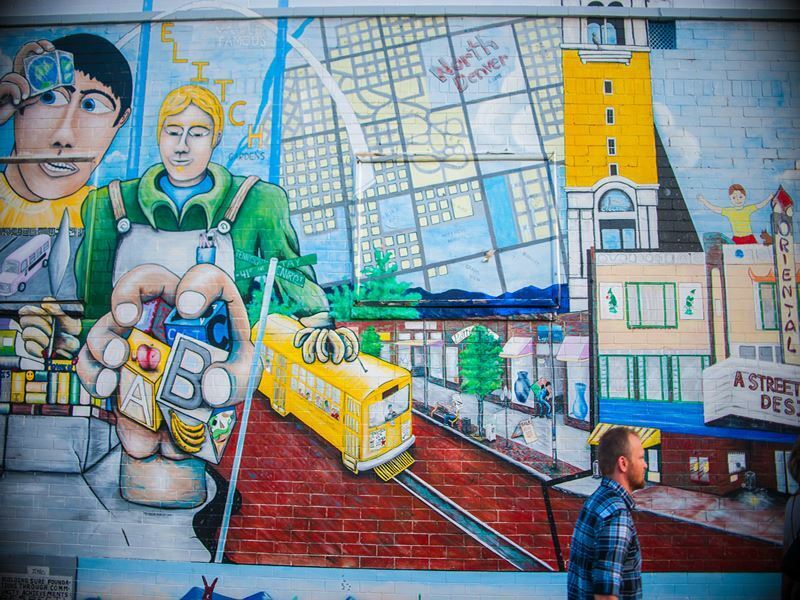 The Golden Triangle Creative District features over 50 galleries, fine art studios and specialty shops in an area bounded by Speer Boulevard, Colfax Avenue and Lincoln Street. It also includes multiple iconic cultural institutions and dining establishments. The Tennyson Street Cultural District in the city’s northwest Berkeley neighbourhood, hosts a burgeoning creative scene and participates in the First Friday Art Walk. Visitors can enjoy culinary and visual arts, music and an outstanding mix of boutiques, shops, bars and restaurants, many of which remain open well into the night. Denver is home to a number of outstanding art museums, including the Denver Art Museum, one of the largest of its kind in the West. Nearly a century-old, the institution opened its doors in 1922 and is made up of two architecturally magnificent buildings. One brings to mind a fortress, designed by Italian architect Gio Ponti, while the other was designed by Daniel Libesikind and resembles a titanium crystal with peaks and shards. This museum is best known for its impressive collection of American Indian Art, as well as its permanent and evolving collections which include over 68,000 unique works from across the globe, spread throughout nine curatorial sections, ranging from Asian, European, New World and Modern art to architecture and design and graphics. Check the schedule for workshops and programs offered throughout the year, including “Meet the Artist,” which offers the chance to meet up with the creators featured in the various exhibitions. Across the street is the award-winning Clyfford Still Museum, one of the city’s newest and most popular cultural attractions. 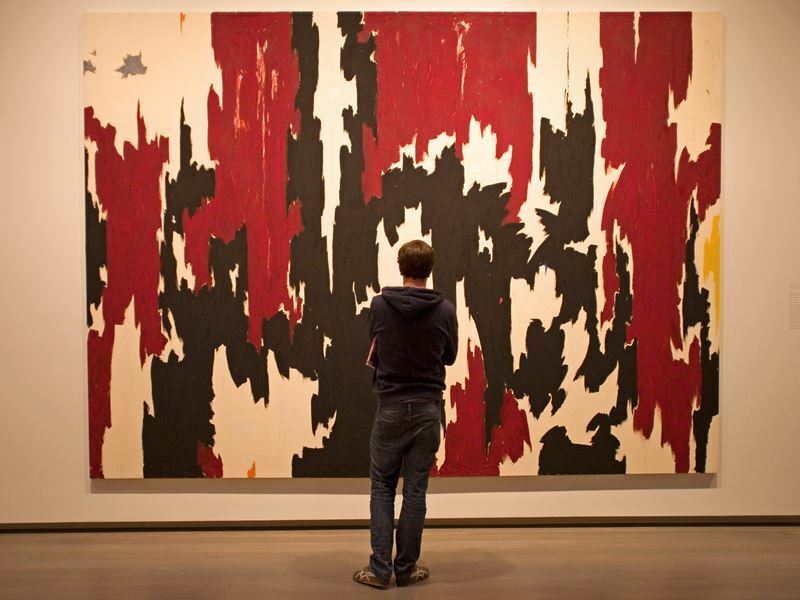 It serves as the home for nearly all of the life’s work of Clyfford Still, the Abstract Expressionist pioneer, one of the country’s most important and most influential artists, with some 2,400 paintings, drawings and prints. It also contains his archives, including journals, sketchbooks, photographs and personal letters. 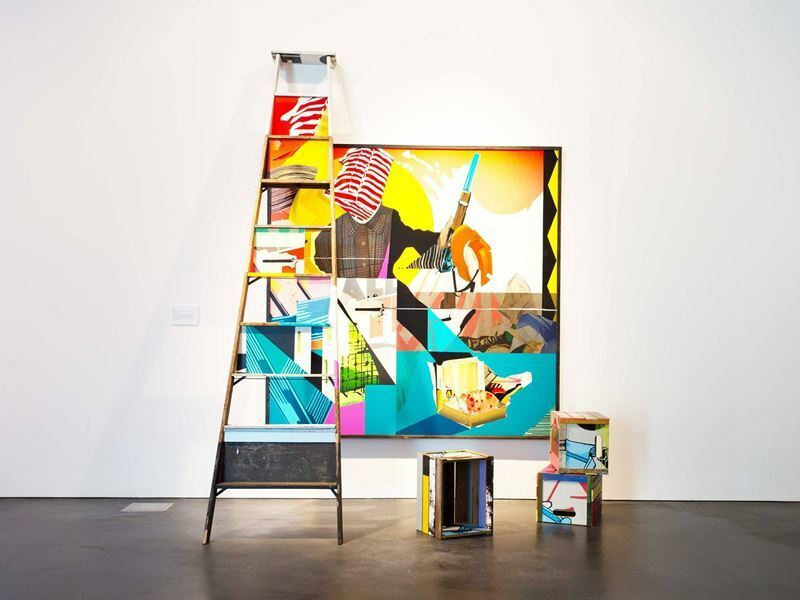 The Museum of Contemporary Art Denver is considered one of true gems of the city’s art scene, housed within a sleek building designed by David Adjaye that stunningly contrasts with the classic red brick the Lower Downtown District (LoDo), is known for. Inside are five galleries that display a continuously refreshed series of exhibits focused on creativity and innovation. It also features a tranquil rooftop garden and café for reflecting on the works after viewing them, as well as a shop with music, clothing and eclectic books for sale. The American Museum of Western Art showcases more than 300 paintings by over 180 artists, founded as the permanent home for the Anschultz Collection, formerly a private collection surveying the art of the American West from the early 19th century to today. The paintings are displayed in salon style, from floor to ceiling, in a nod to the 1880 Navarre building the museum is housed in. There is plenty of art to be found outside of the museums as well, with over 300 pieces, including a number that have become iconic symbols for the city. In Civic Center Park you can view many wonderful pieces, from the Bronco Buster, created in 1920 by Alexander Phimister Proctor, to Frederick MacMonnies’ 1911 Pioneer Fountain. Across the street at the 16th Street Mall you’ll discover many standout works, like the brightly painted cows on the sidewalks, massive chess pieces, and an installation of wine bottles tuned to specific musical notes that visitors can “play,” among practically an endless list of other works. The Denver Public Library boasts a number of magnificent public works, including stunning murals by Edward Ruscha, and outside is The Yearling, a life-size horse that sits atop a giant red chair. 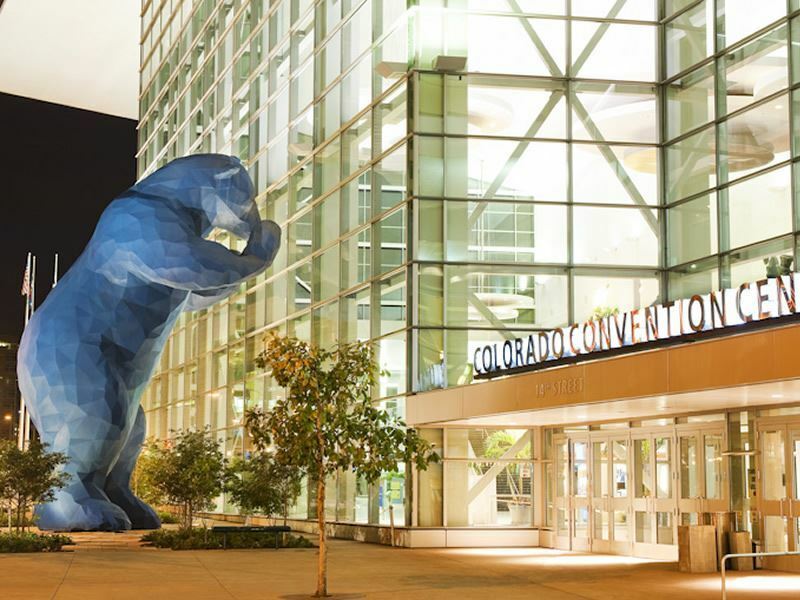 The Blue Bear, a 40-foot-tall bear, keeps an eye on visitors at the Colorado Convention Center, while the Denver Performing Arts Complex aptly displays two 60-foot-tall fiberglass dancers on its lawn, with visitors encouraged to join them in a dance as music blares from its base, 24 hours a day. The most iconic public art in all of Denver can be seen near Denver International Airport. You won’t be able to miss the massive blue horse with glowing red eyes that people seem to either love or hate, often simultaneously named as the most and least favourite piece of public art in Denver. Impressive street art can be found throughout the city, some of which is commissioned by communities, events or businesses, and others unsanctioned paintings or graffiti. While by its nature, street art is ever changing, some of the best can be found in the Art District on Santa Fe, where you’ll see vibrant colours splashed in alleyways, on sidewalks, doors, mailboxes and more. Crush, founded in 2010, is a festival that celebrates graffiti and the streets artists that come each year to transform the walls that line the River North District’s streets into an open-air gallery, with the murals standing long after the festival is over. The walls are decorated from 27th and Larimer Streets, all the way to 40th and Williams. Confluence Park, located in the Highlands neighbourhood, hosts a large number of colourful paintings that are splashed on brewery, bar and building walls, including an impressive painting of former Broncos’ quarter Peyton Manning displayed on the side of Monkey Barrel Bar. “Greetings from Denver” can be seen on the side of Denver Beer Co., a vintage postcard-style work that serves as a tribute to Denver, showcasing the iconic Red Rocks Amphitheatre, Union Station, a skier and craft beer. 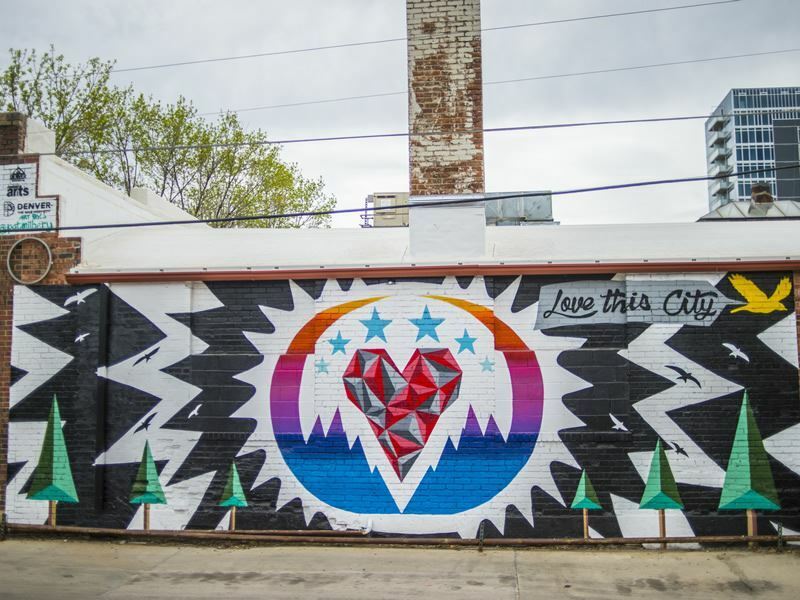 South Broadway continues its open-air art tradition with more renegade street art – practically every side street and alley on its west side sports some type of creative expression, including some elaborate masterpieces.